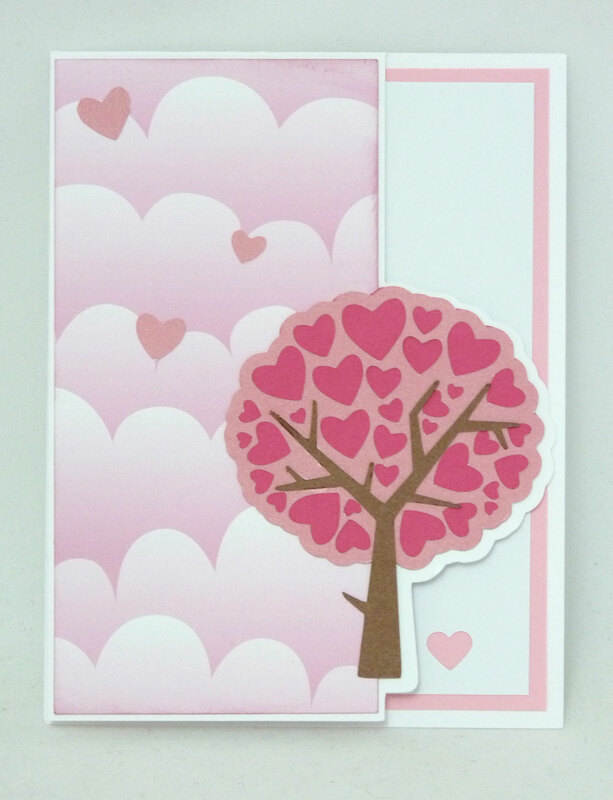 Isn’t this Love Tree adorable? It was a freebie from Designs on Cloud 9 a couple weeks ago. 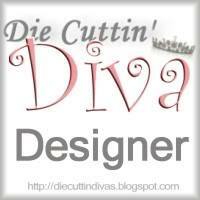 I knew that I wanted to make some cards with it for the DC9 blog, but my DT sister, Mitsy beat me to it! Mine is a little different, so I decided to show you my take on it. I had a lot of fun making this card. 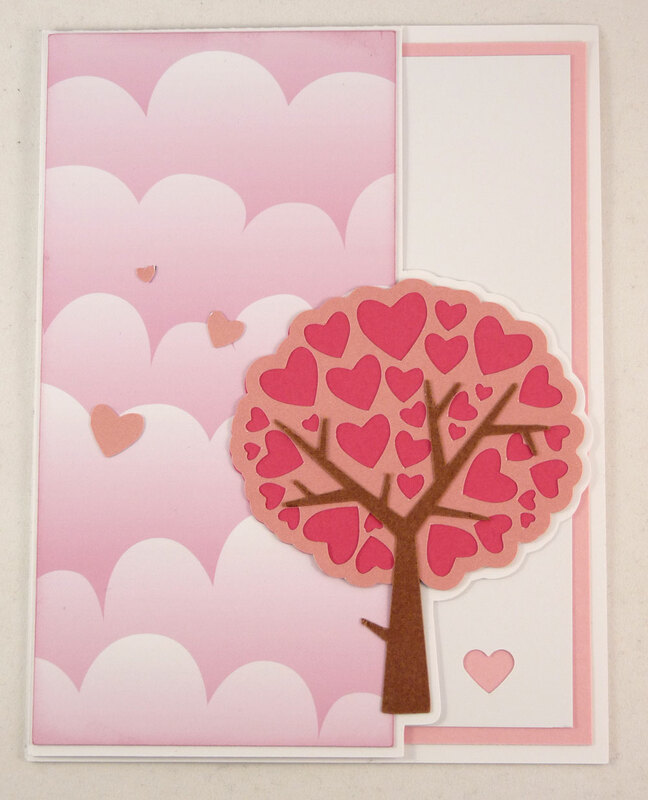 It’s really not a true shaped card; just the front is shaped. I created it in Silhouette design studio. 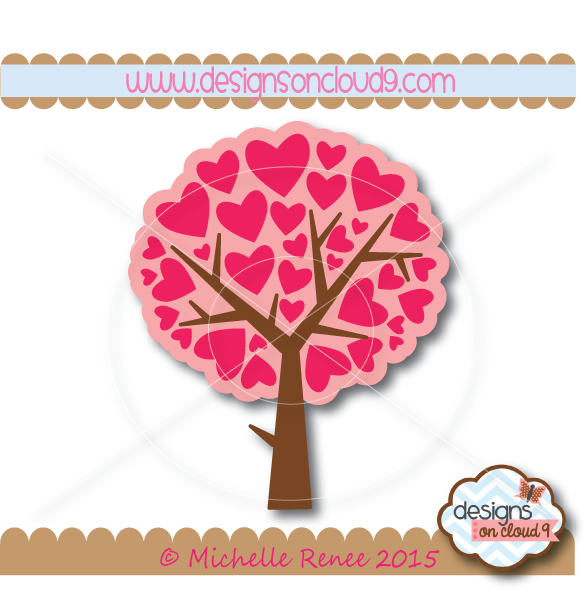 First I “assembled” the Love Tree and made an offset. I welded the tree to a 2.75 x 5.5 inch rectangle, then welded that to a 4.25 x 5.5 inch rectangle. (See screenshot on the left.) The cards open from the top. Those tiny hearts cut like a charm! I had zillions left over that, if I were very mean, I could put in the envelope as confetti to make a big mess for the recipient to clean up! 🙂 Instead, I saved a few of them and had them float off into the sky. The pink clouds are digital paper saved on my computer. It’s called Jennifer Pebbles 2ps Pink Clouds, and I guess they were from 2 Peas at one point. Can’t seem to find it on the internet now to make a link, but I found it when I searched my computer for cloud paper and it was just perfect. I love the colors. The tiny heart on the inside is negative space from a little $1 Recollections punch. You may not know, but Designs on Cloud 9 is closing its doors at the end of the month. They have such cute files and everything in the store is now 60% off your purchase of $10 or more. I stocked up yesterday. The last day is February 28th, so if you want to take advantage, please hurry. You can still find Michelle’s cut files on the Silhouette Store, here. 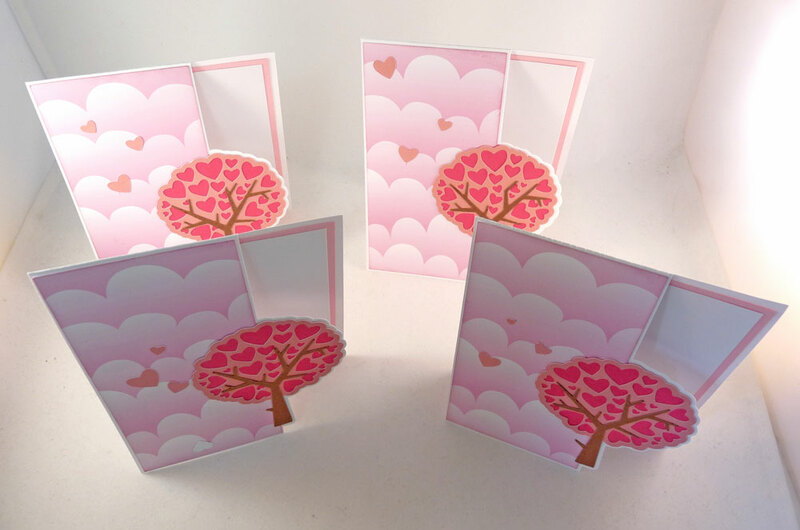 This entry was posted in Paper Crafting and tagged card, Designs on Cloud 9 Design Team, shaped card, valentines. Bookmark the permalink. No, you’re right. That’s how the file comes!